Cuts up to 30mm wide flat cable. 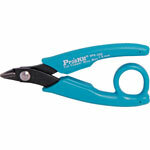 Incorporates steel wire cutter. (Up to 3mm). Fantastic for IDC and any flat cable. 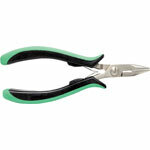 Adjustable locking plier grips made from drop forged steel. 180mm size with serrated bull nose jaws. 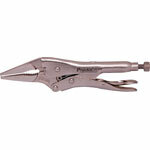 Adjustable locking plier grips made from drop forged steel. 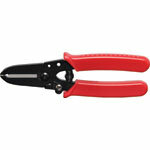 225mm size with serrated long nose jaws. Be prepared for any job! Great for the glovebox or toolbox! 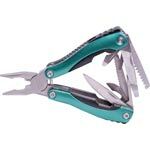 Features 17 handy tools in a single unit such as knives, saw,can opener, screwdrivers, pliers, etc! 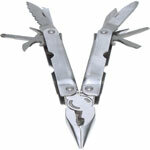 A premium multitool, perfect for hikers, campers. Or just keep it handy in the glovebox for when you need it.The hero helps you fix lifes little problems, then folds up to the size of a pack of gum so you can take it anywhere. 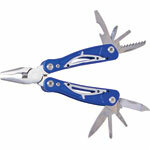 A premium multitool, perfect for hikers, campers. Or just keep it handy in the glovebox for when you need it. Supplied with beltpouch. Stainless steel construction. 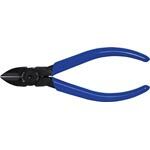 5.5" (140mm) combination pliers/ cutters with rubberised grips and serrated jaws, ideal for PCB work, handling components etc. 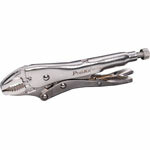 High quality polished stainless steel finish with springloaded action. Length 125mm. Rust Resistant! 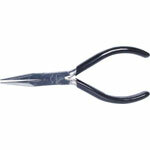 115mm (4.5") side cutter, with rubberised insulated grips & sharp bevelled edge. 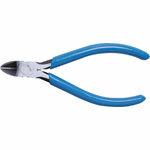 5" (127mm) side cutters made from super hard carbon steel. 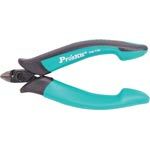 Ideal for cutting solid core wires or even small diameter steel wire. 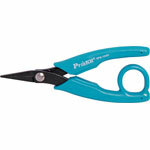 Super tough carbon steel blades stay sharper for longer. With sharp bevelled edge and rounded jaw profile. Includes spring return handles. Length 130mm. With sharp bevelled edge and rounded jaw profile. Includes spring return handles. Length 125mm. High quality polished stainless steel finish. Springloaded action for faster cutting. Length 125mm. General electronic use. Serrated jaws. Length 145mm. 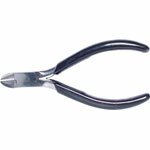 For bending component legs, IC pins etc and general use. Smooth jaws. Length 145mm.